HI93640 is a compact, portable thermohygrometer designed to provide peak performance anywhere. Measurements of temperature and relative humidity are made easy with the rugged housing of the meter and built-in sensor. HI93640 features temperature readings in both Celsius and Fahrenheit, and a removable sintered cap protecting the sensor. 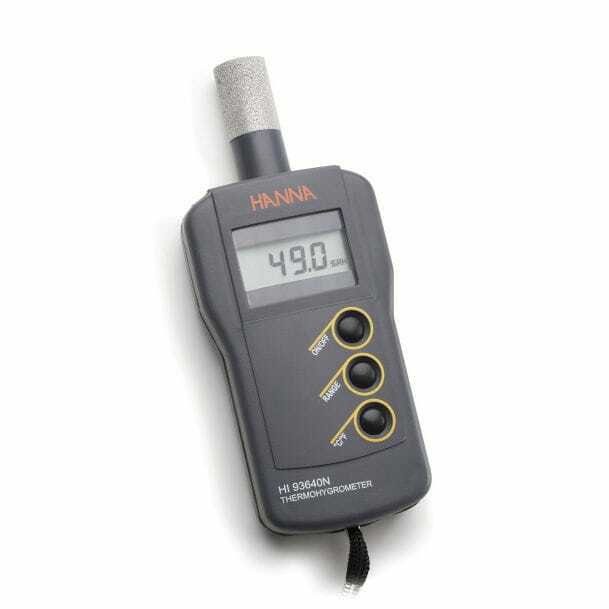 The HI93640 is a compact, portable thermohygrometer designed to provide high accuracy temperature and relative humidity (RH) readings anywhere. The meter offers a simple interface and a Battery Error Prevention System (BEPS). The compact housing and rubber keys resist the ingress of dust and protects the device from accidental splashes. 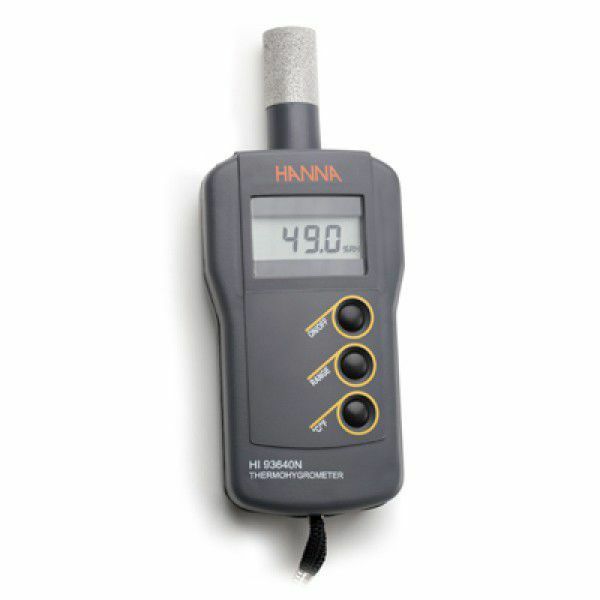 The HI93640 has selectable temperature and RH modes. 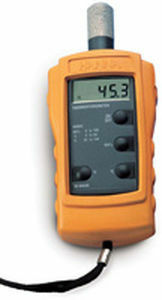 The measurement mode can easily be switched at the press of the RANGE button. 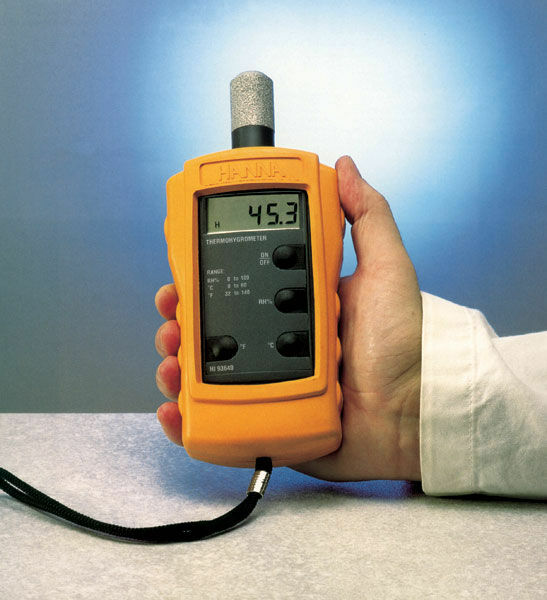 Both temperature and RH are measured with an integrated sensor protected from dust by a sintered cap. Built-in Sensor - The HI93640 contains a built-in thin-film polymer capacitive (TFPC) sensor that accurately measures relative humidity and temperature. °C/°F Readout - Temperature is displayed in °C or °F. A slide switch on the HI93640 allows the user to change the temperature readout unit.